 姜德娟, 王会肖, 李丽娟. 生态环境需水量分类及计算方法综述[J]. 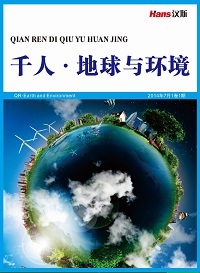 地理科学进展, 2003, 22(4): 369-378. JIANG Dejuan, WANG Huixiao and LI Lijuan. A review on the classification and calculating methods of ecological and envi-ronmental water requirements. 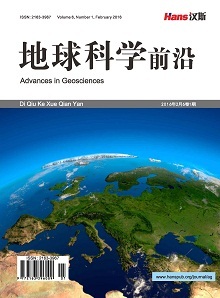 Progress in Geography, 2003, 22(04): 369-378. 杨诗君. 湖南省水资源保护研究[D]: [硕士学位论文]. 南京: 河海大学, 2005. YANG Shijun. The protection of water resources in Hunan province. Nanjing: Hohai University, 2005. 谢海涛. 湖南省用水现状及其影响因素研究[D]: [硕士学位论文]. 长沙: 湖南大学, 2011. XIE Haitao. 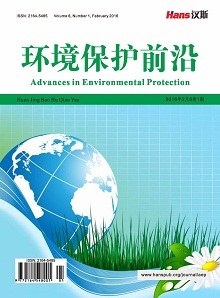 The research of water resources utilization and its influencing factor analysis in Hunan Province. Changsha: Hunan University, 2011. 湖南省水资源公报[R]. 湖南省水利厅, 2003~2013. 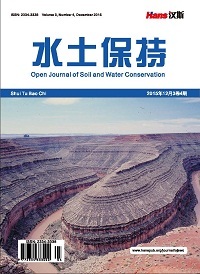 Hunan Water Resources Bulletin. Hunan Water Resources Department, 2003-2013. 湖南省水资源综合规划[R]. 长沙: 湖南省水资源综合规划领导小组办公室, 2007. Integrated Water Resources Planning in Hunan Province. Changsha: Integrated Water Resources Planning Leading Group Office of Hunan Province, 2007. 肖庭延. 实用预测技术及应用[M]. 武汉: 华中理工大学出版社, 1993. XIAO Tingyan. Practical prediction technology and application. Wuhan: Huazhong University of Science and Technology Press, 1993. 何斯雯, 谢正文, 黄雅楠, 袁昌明. 基于指数平滑技术的水体污染灰色预测模型及应用[J]. 环境科学与管理, 2009, 34(8): 169-172. HE Siwen, XIE Zhengwen, HUANG Yanan and YUAN Changming. Improved grey model base on exponential smoothing for river water pollution prediction. Environmental Science and Management, 2009, 34(8): 169-172. 吴健华, 李培月, 钱会. 基于Holt指数平滑模型的地下水水质预测[J]. 工程勘察, 2013, 41(10): 38-41. WU Jianhua, LI Peiyue and QIAN Hui. Groundwater quality prediction based on Holt exponential smoothing model. Geotech-nical Investigation & Surveying, 2013, 41(10): 38-41. 胡振林. 市场调研、预测与决策分析[D]: [硕士学位论文]. 武汉: 武汉大学, 2005. HU Zhenlin. Market survey, predicting and making policies to analyze. Wuhan: Wuhan University, 2005. 刘懿光. 土地利用规划需求量预测模型研究[D]: [硕士学位论文]. 武汉: 华中农业大学, 2005. LIU Yiguang. Study on demand forecasting models in land use planning. Wuhan: Huazhong Agricultural University, 2005. 刘治学. 包头市用水结构变化及用水量预测分析[D]. 西安: 西北农林科技大学, 2013. LIU Zhixue. 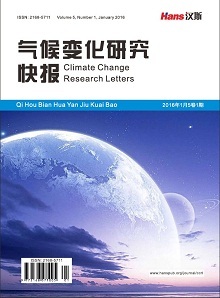 Analysis on water demand structure change and water consumption forecasting in Baotou. Xi’an: Northwest A & F University, 2013.